We learned yesterday that the acclaimed author, E.L. Doctorow passed away at the age of 84 on July 21. While Doctorow himself didn't much care for the movie based on his novel, Ragtime—he felt the filmmakers misread his text—the 8 time Oscar nominated film deserves a viewing. Released in 1981, it's our movie for a #ThrowbackThursday. The book is a beautiful juggling act with the turbulent history of New York in the early decades of the 20th century as its backdrop, a blend of real and fictional characters juggled skillfully by the great Doctorow. The film, which received 3 1/2 stars from Roger Ebert in 1981, focuses on the life of a young black pianist as his world intersects with the upper crusty white family who take in the mother of his child. 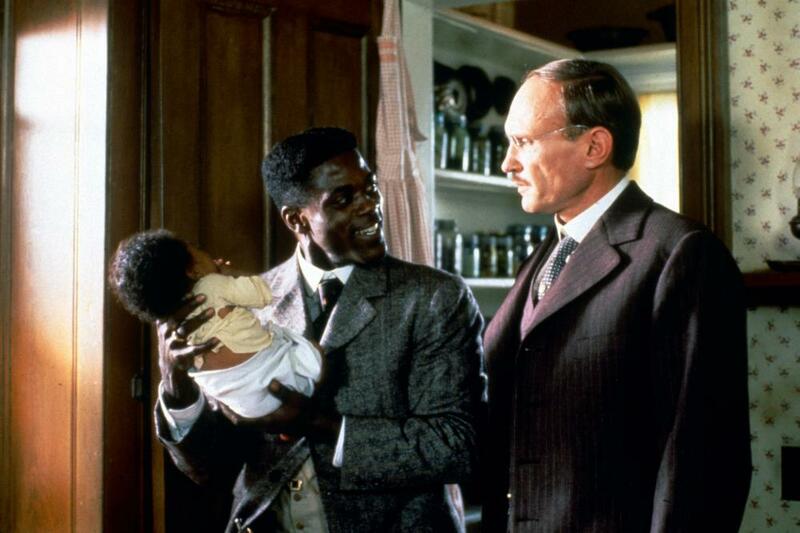 In today's heightened awareness of the lingering inequality and barrage of racial injustices brought to bear on generations of people of color, when examples of racist behavior seem to emerge daily, Milos Forman's timeless film has something to say about race relations in America. 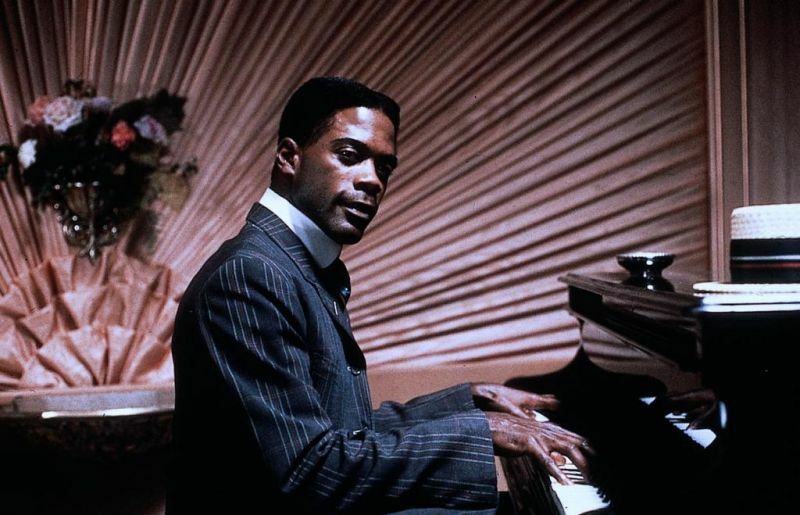 The young black pianist, Coalhouse Walker, Jr., is played by handsome Howard Rollins, Jr. Rollins, who received a Best Supporting Actor Oscar nomination for his work is probably best known for the television series In the Heat of the Night co-starring Carol O'Connor. He died in 1996, at just 46, from lymphoma. 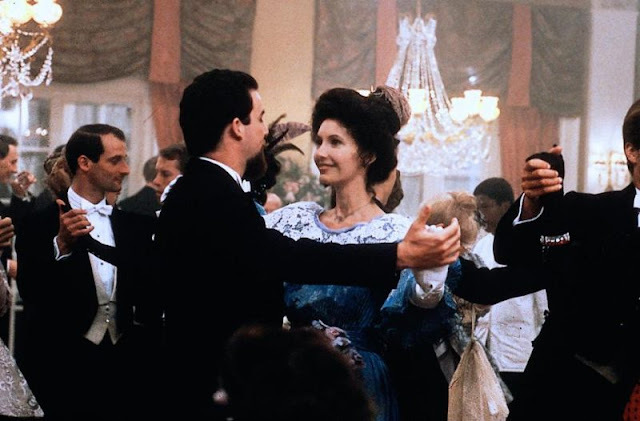 My friend Elizabeth McGovern was also nominated; her supporting actress nom came for playing Evelyn Nesbitt, the beauty whose husband kills her lover. Okay, so we're not really friends but I did work on the movie The Favor with Elizabeth. When we were shooting in Portland, we went to a Melissa Etheridge concert along with Brad Pitt and a few more hangers on. Another time a group of us hit McCormick & Schmidts for dinner which is when the price of fame really hit me. There we were, a half dozen people just trying to enjoy a meal and each other's company, while the rest of the restaurant kept trying to steal peeks at our table, or just out and out stared. It was incredibly disconcerting and frankly, it's not like Elizabeth McGovern was a huge deal at the time: it was the early 90's, post Racing with the Moon and Once Upon a Time in America and long before Downton. I can't imagine what happens to the likes of Angelina Jolie and Brad Pitt. Any semblance of a normal life must be impossible. But that's not news and I just digress to impress with my little shoulder rub. 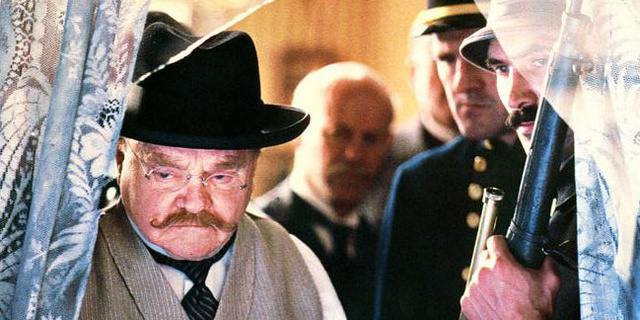 The movie is also notable because it features one of the last performances by James Cagney. The legendary actor, probably one of the most imitated voices in old Hollywood, played NYC Police Commisioner, the real life Rhinelander Waldo. While Cagney was 88, Waldo was only 32 when he served as commissioner so we have a little fictionalization here. 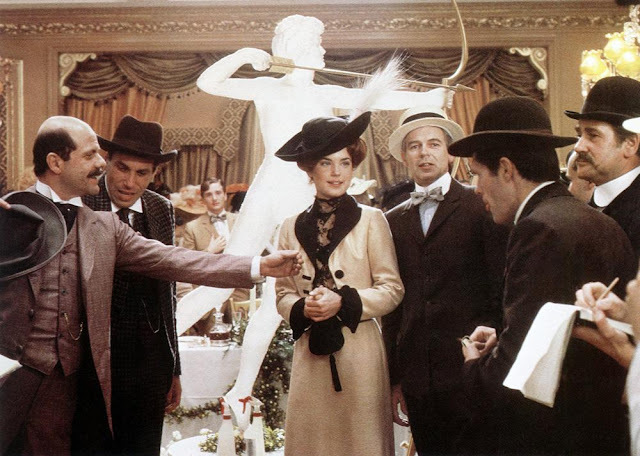 The part is also expanded greatly from the characterization in the novel, a phenomenon that occurs when a director (in this case, the acclaimed Milos Forman) plays the 'Star Casting' game. While Doctorow wasn't a fan, the screenplay adaptation of Doctorow's novel by Michael Weller was also nominated. While Weller's film writing career is hardly storied, he did give us Hair, also directed by Forman, so that's something. 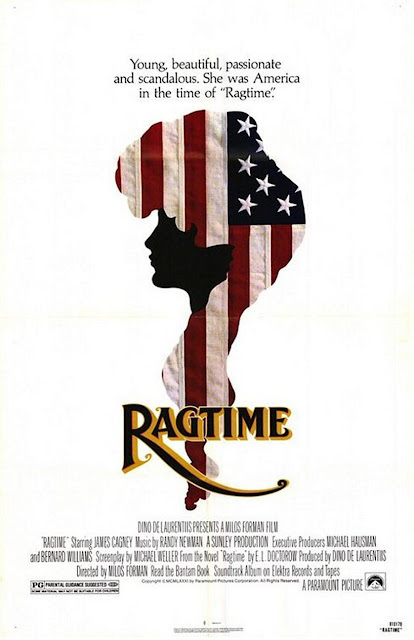 Ragtime received 8 nominations in all, for Best Cinematography, Art Direction/Set Decoration, Costumes, the song One More Hour and the musical score, both by Randy Newman. I shared the song yesterday when I posted the news of Doctorow's death. The music, of course, is ragtime, the syncopated sounds Scott Joplin brought up from the black communities of the midwest. The only trailer I can find is a bit blurry but the rhythm of the music is undeniable. Little wonder some Broadway genius decided to bring it to the stage as a musical! 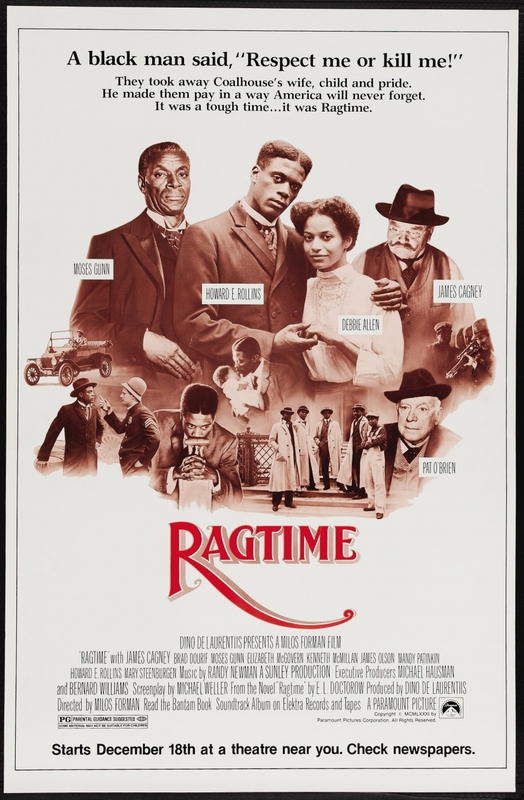 Ragtime is available to stream on Amazon, YouTube, iTunes and GooglePlay.